The former imperial city may merely be the 4th largest city in Morocco (after Casablanca, Fez, and Tangier,) but it’s certainly the most glamorous. Since the Neolithic period, the Berbers farmed in Marrakech. By the 12th century, schools and mosques were constructed here with vast Andalusian significance. Today, the Red City is globally recognized by its street art: snake charmers, musicians, acrobats…etc. But where should you stay and where do you go upon arrival? Here’s a neighborhood breakdown made for you! Reputation: Heart of the city. The 411: A UNESCO World Heritage Site, the Medina is as chaotic yet fascinating as it comes. Strolling through the maze-like streets is congruent to uncovering hidden gems. A hypnotizing experience for the non-local, to say the least. A tourist trap but also a photographer’s dream, you’ll want to pay attention in the Medina. 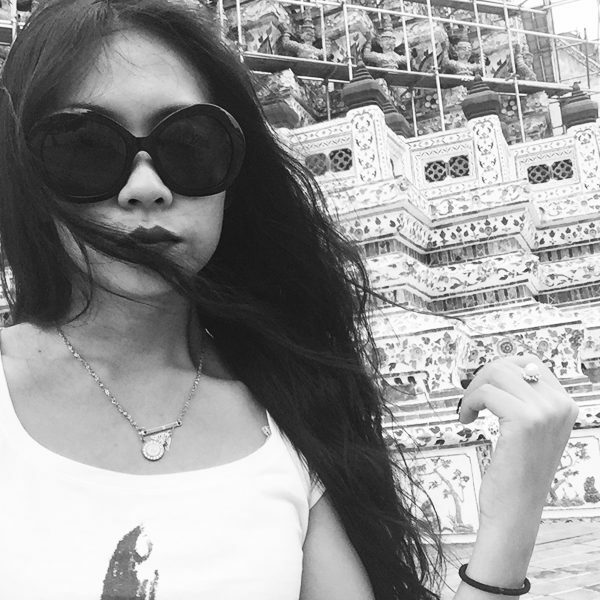 For your pockets, and for your safety (calling fellow female travelers.) If you’re staying in a traditional riad, then it’s most likely located in the center of the Medina. If you’d like to pace along to the heartbeat of the city and walk in a film-like setting, Medina is not to be missed. Don’t miss: Stay at Riad Farnatchi, or Riad 72. Shop at the medina market Djemaa El Fna. See the Koutoubia Mosque, Medersa Ben Youssef, House of Photography in Marrakech, Marrakech Museum, and Almoravid Koubba. The 411: Situated south of the Medina, Kasbah welcomes you via one of 19 gates of Medina – Bab Agnaou. Less aggressive sellers chill on old roads in front of their shops, they make a drastic contrast to the Royal Palace which you’ll surely walk through and admire. The Kasbah is representative to the power of the Saadian Dynasty from the 14th to the 16th century. Don’t miss: The landmarks you’ll see symbolize Saadian influence at the time, including: Saadian Tombs and El Badii Palace. The 411: If you love history, you’ll need to visit Mellah. This neighborhood oozes diversity, since you can visit several Jewish sites in the middle of a Muslim city. Old synagogues, spice markets are just a few things you’ll spot here. In 1558, Mellah was built during Saadian period, it soon became a bustling quarter within the thriving city of Marrakech. In WWII, many Moroccan Jews were saved during the Sultan’s fight against the Vichy during WWII. Don’t miss: Bahia Palace, Neguidim Synagogue, Alzama Synagogue, Jewish cemetery, and spice markets. Reputation: Fancy, stylish European flair. 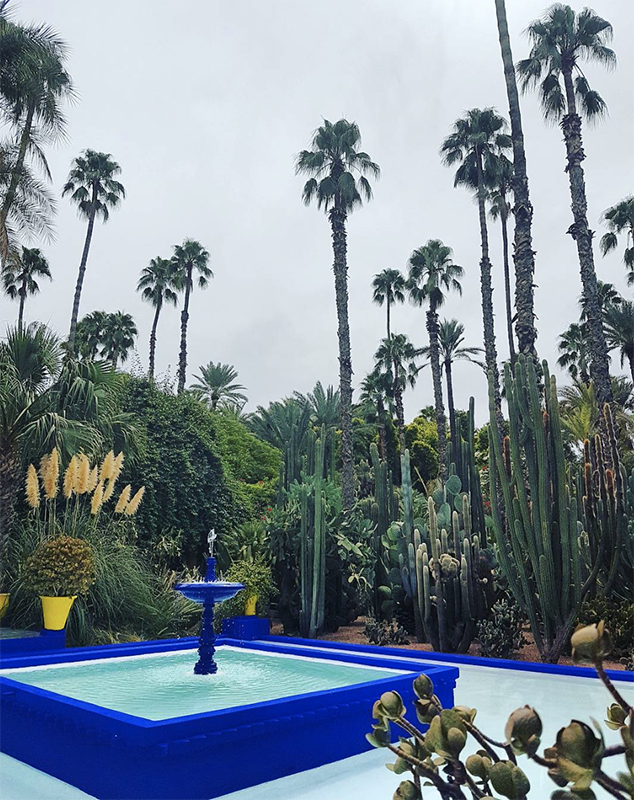 The 411: At some point in Marrakech, you’ll visit the famous Majorelle Gardens. This is where you’ll arrived in Gueliz. 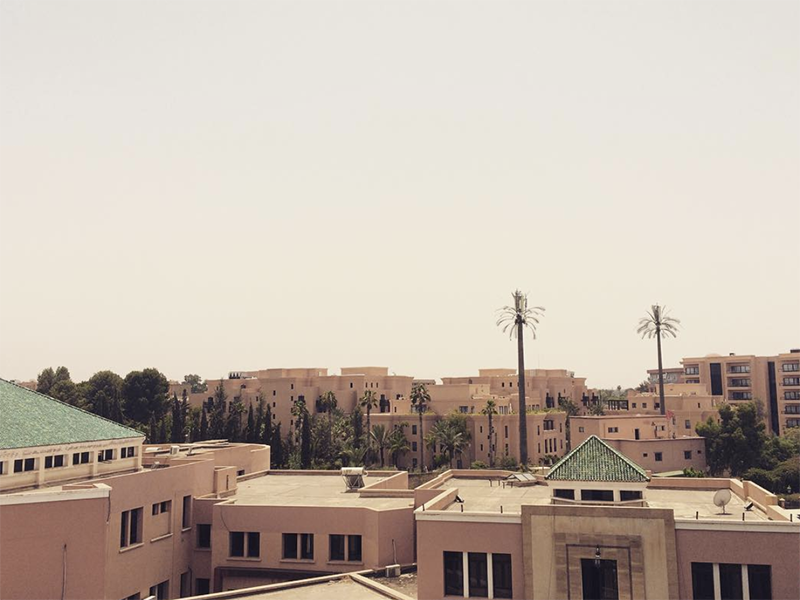 Boulevards, a new train station, a modernized peek inside Marrakech city life. This colonial or very French part of Marrakech holds posh cafes, new restaurants, and small art galleries. Catered to westerners who work or travel here, Gueliz is also filled with nightclubs and bars where loud music and drinking isn’t as hidden. Don’t miss: Majorelle Gardens, Royal Theater, and Congress Palace. Reputation: Bourgeois & jetset. Luxury hotels next to a vibrant nightlife. 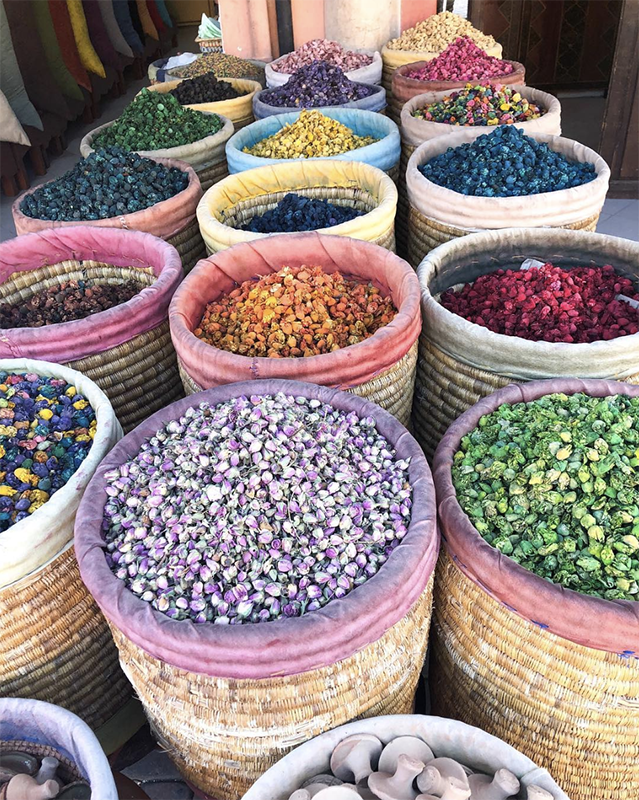 The 411: Home to hotels like the Four Seasons and the Movenpick, Hivernage is a completely different atmosphere than the rest of Marrakech. A bit further away from the Medina, you’ll need to have a car or expect to taxi a lot. You’ll find numerous five-star hotels and high-end restaurants in Hivernage. For going out at night, this area is IT, read here for addresses. Don’t miss: Stay at Movenpick Hotel. Enjoy the nightlife scene at: Casino de Marrakech, Comptoir Darna, and Barometre Cocktail Bar. Reputation: Up-and-coming artsy, where you can shop. 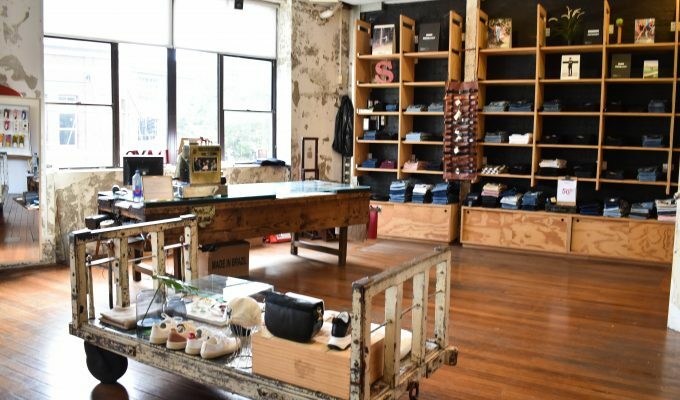 The 411: Some have said Sidi Ghanem Industrial Quarter is like “New York’s SOHO district in the 1970’s.” Much of it is all about creativity and innovation. 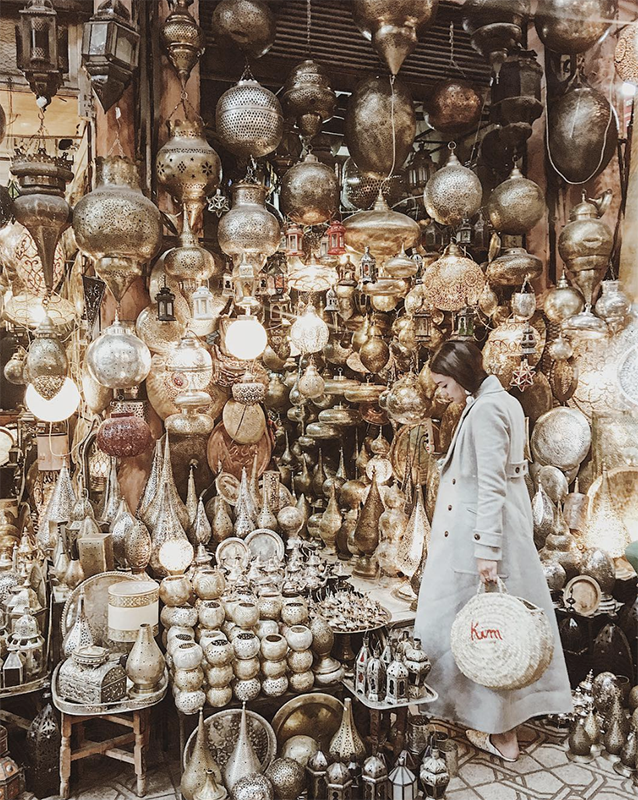 If you want to find Marrakech’s newest designers with their own ateliers, or warehouses turned into showrooms, you’ll spot them here. Also further away from the Medina, Sidi Ghanem requires a car or taxi if you’d like to go back and forth between here and the Medina. 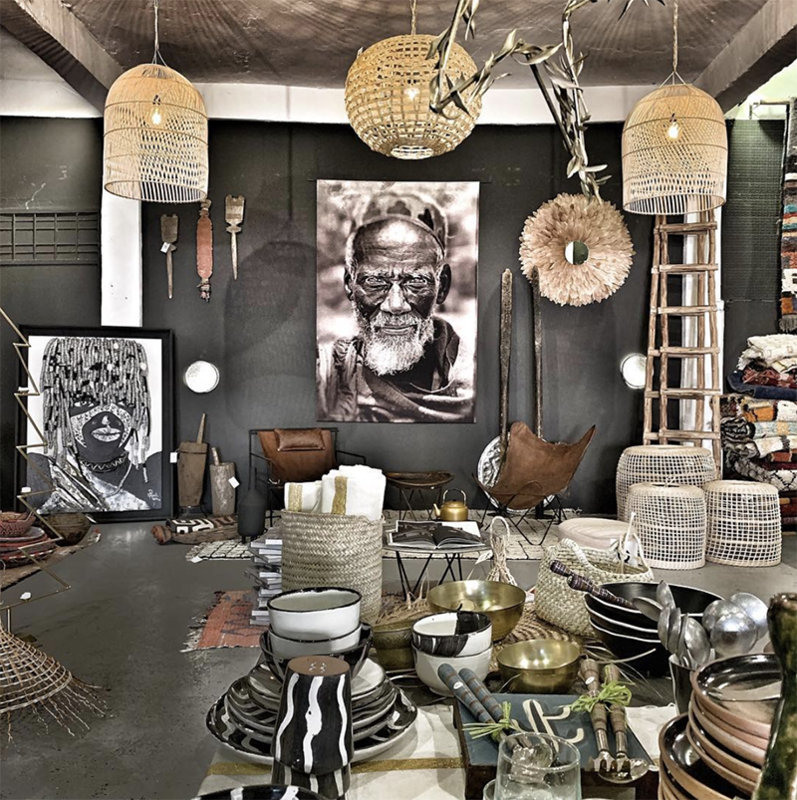 Don’t miss: Henry Cath (furniture & home decor), Keros Fragrances, Natus Cosmetics, Akkal Ceramics, Atelier Landon (furniture & lighting), Topolina (clothing), Magasin General (furniture & home decor).